…. 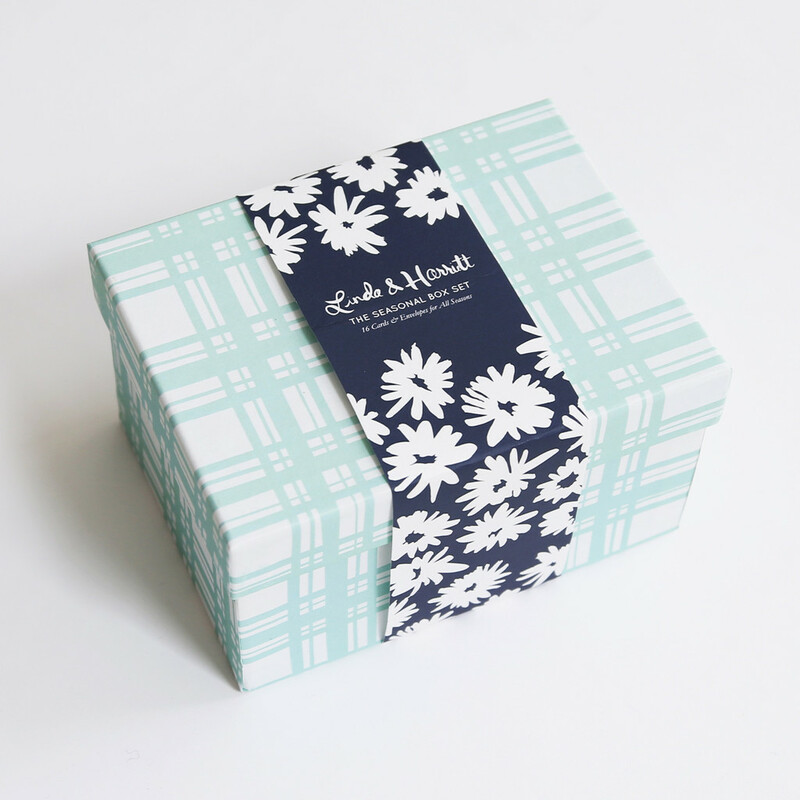 the Linda & Harriett Seasonal Note Card Box Set. Always a fan of Linda & Harriett, it was inevitable that I would love these cards. Owner and designer, Liz, nailed it once again with simple yet bold illustrations and lovely color combinations. 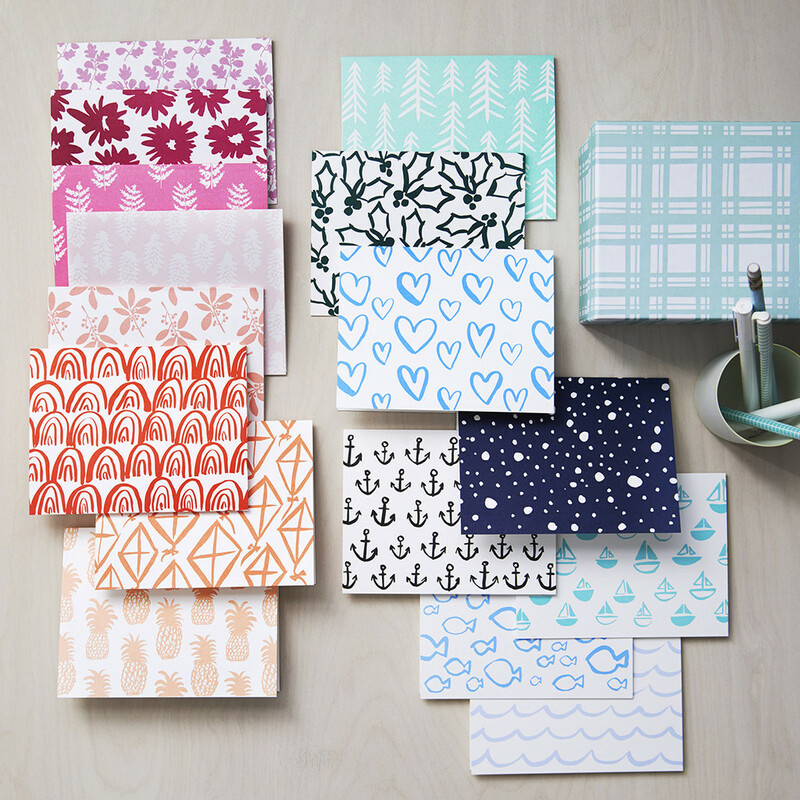 The set includes 16 note cards & envelopes, 4 designs for each season, all paired with light gray envelopes and packaged in a turquoise plaid keepsake box. cool note cards & a keepsake box!